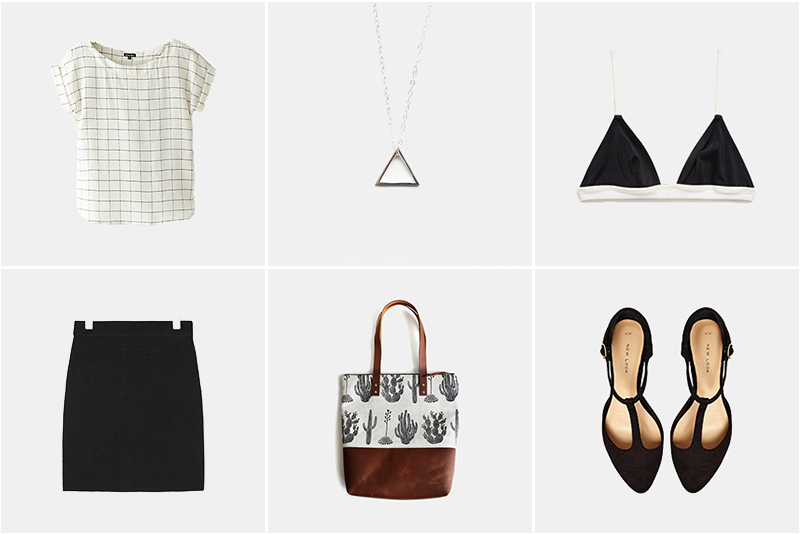 A few simple pieces to wear with a minimal sterling silver triangle necklace perfect for summer. There is also a 14k gold triangle available. Love the top! It's so simple yet chic at the same time. LOVE all of these! Especially the necklace, bikini top and shoes!! Everything you have selected here is beautiful Sophie, I especially adore the necklace. I REALLY like that shirt and the bag. Totally my style! Love this look! Simple and gorgeous. I really love the strap details, they're so lovely. I love the pattern - it's awesome. You're SUPER welcome - I absolutely adore your store. Thank you - it's something I'd love to wear in summer. Thank you! The shirt is so simple and pretty, I love it. I love how simple everything is but together it makes an awesome outfit.